Add the elements of elegance with a little splash of black that is bold and stylish. Let the combination of black and crystal complement the architectural spaces of your building. The sleek and smooth designs of our railings create a soft, sober and timeless ambiance that is visually charming. The Paris collection is one of the contemporary collections of AIDI that combines both luxury and glamour. 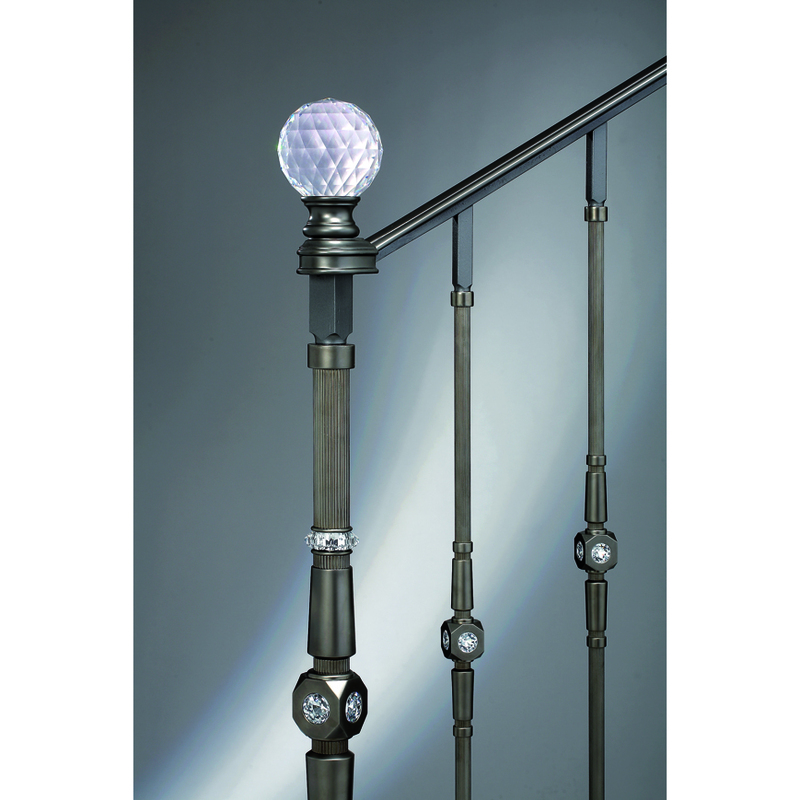 This classic series of railing posts and balusters is a smart mix of artistic sense and efficiency. Interestingly, this series is a fit for all architectural styles and configurations. 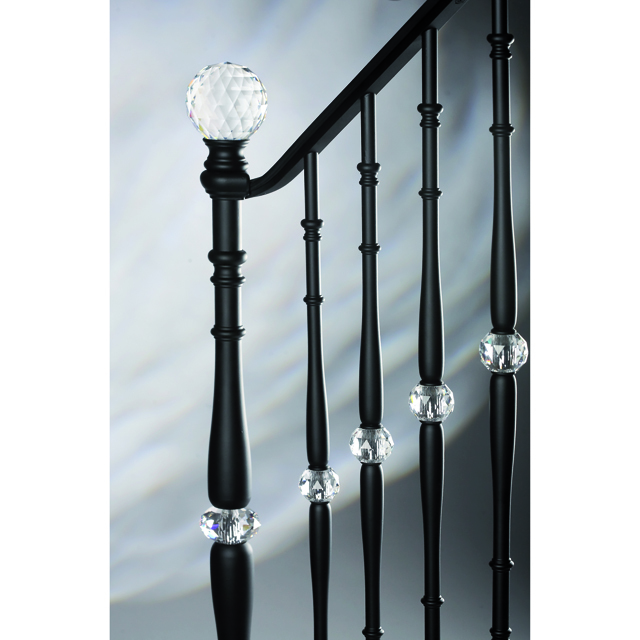 Our crystal fitted posts and balusters are the ultimate accessory that you would want to boost the charm of your staircase. Give your building a rich look with our Diamond Series of sophisticated fittings, especially meant for railings and staircases. Redefine royalty with these unique pieces of artwork done with crystals to enhance the entire look of your stairway. Make your staircase stand out by adding eye-catching elements to your railings. 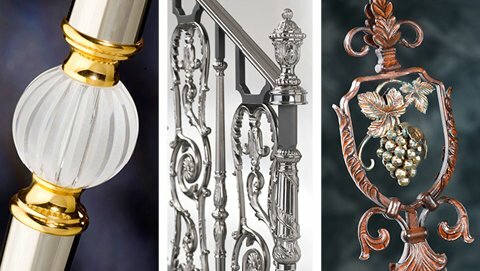 Our metal forgings for balustrades and railings made in contemporary designs will add chic detail to the ambiance of your house. 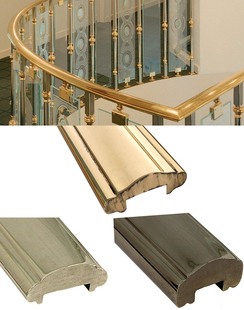 Get a range of subtle designs or an accent detail for your stairway that are simply gorgeous. Add a touch of class to your staircase or railing design with gentle swirls, leaves and elements of nature. 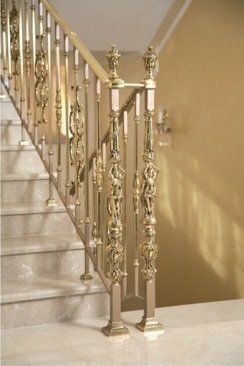 These brass balusters will embellish your living space as they add spectacular detail for a most amazing look of grandeur. 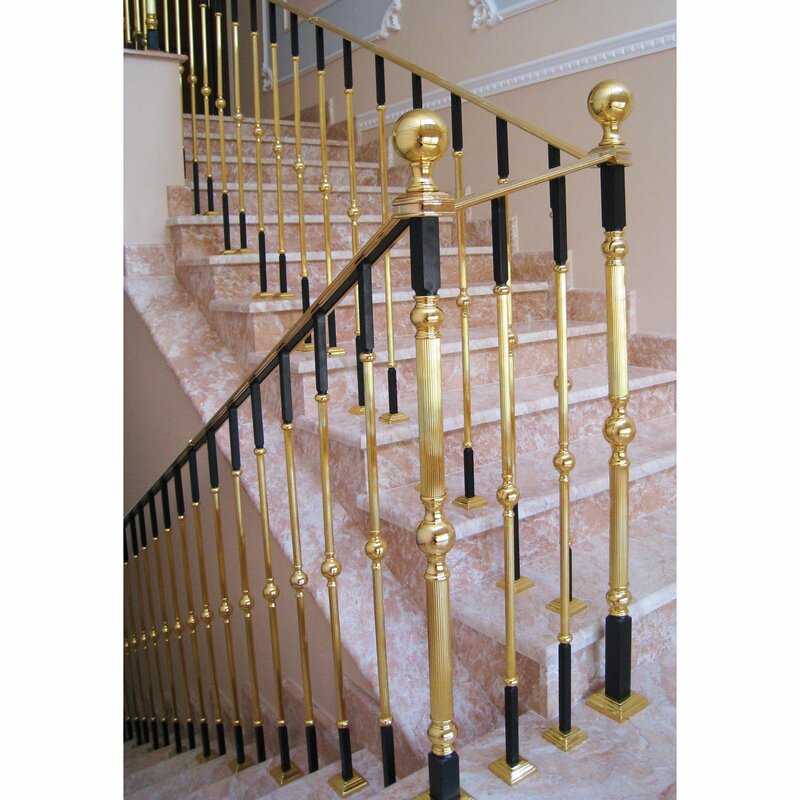 Whether you have a marble staircase or one with granite, our products for railings containing gilded embellishments on brass balusters will enhance the glamour of your entry hall. Give your house an edgy look with Grande Forge Royal Series that features solid brass centers in a hand patinated and lacquered Antique Bronze finish. 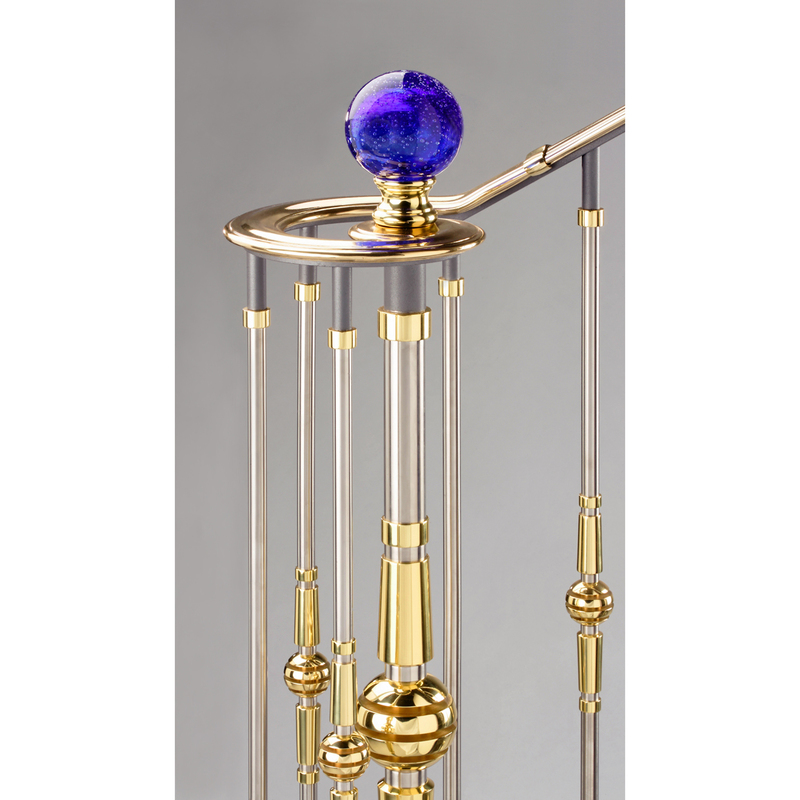 The Classic Series by Grande Forge is the blend of solid brass with forged steel. 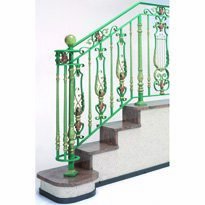 This classic combination used in making railings and balustrades is artistic whose style is unalterable. 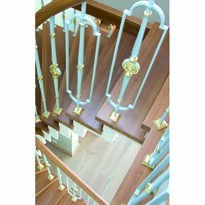 Complement your staircase with a rustic design that fuses the goodness of two metals to give your house a timeless look. 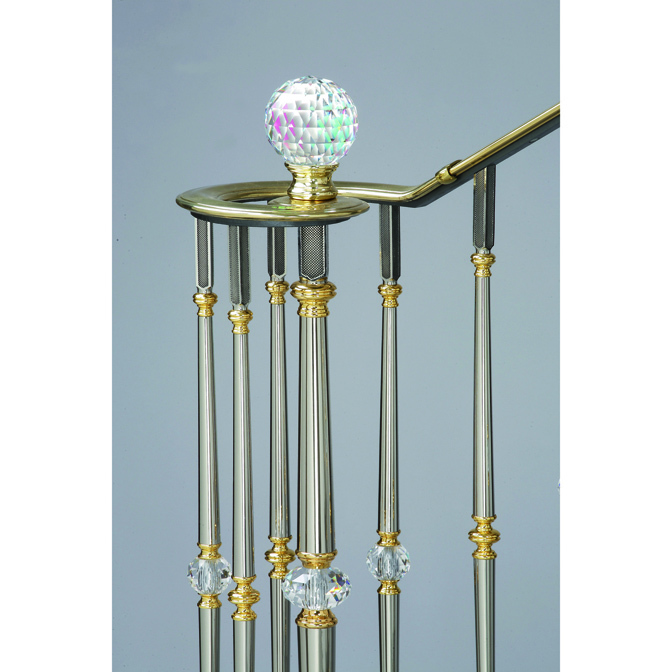 Polished brass and stainless steel forgings in the center make this line of posts and balusters unique. 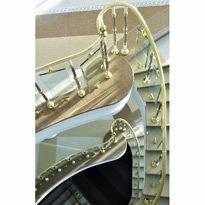 The mix of two metals used in these forgings creates a mystical harmony between the staircase and your furniture where the two components complement one another. Harmonie Series of posts is a decorative element that with its precision in details can intensify the beauty of your house.